Cape Town - Baroka boss Khurishi Mphahlele revealed that his good relationship with Black Leopards owner, David Thidiela, played a big role in the signing of Siphelele Ntshangase. 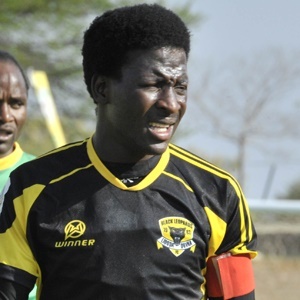 The midfielder joined Bakgaga on a two-year contract after spending the majority of his career with Lidoda Duvha in the National First Division. The 24-year-old, who was reportedly a target of the likes of Kaizer Chiefs and Orlando Pirates, is rated as one of South Africa's hottest prospects. Nonetheless, Mphahlele hinted that his friendship with Thidiela was a factor in securing the Bafana Bafana international's signature. He told the Sowetan, "I've known him (Thidiela) even before starting my own club. I remember in 2006 I went to Venda to watch Leopards play Moroka Swallows. "We started talking a long time ago (about Ntshangase). We were quietly speaking to the chairman of Leopards and on Monday, after I met him at the PSL (offices), we finalised it. We had travelled together from Limpopo for our board meeting. "I always talk to Thidiela about football and just life in general and it's very important to have a good relationship with other clubs. He's our father in the (Limpopo) province in terms of football. He wants to make a contribution to football in the province and he made a big contribution by giving us the boy." Baroka next face Chippa United at the Nelson Mandela Bay Stadium after the international break on September 12 where they will be aiming to pick up their first win of the season.